I was born in Licata, Sicily and raised in Biella near Milan and believe me when you are a Chef who has grown up in Italy, the passion for food is deep in your heart. I view cooking as a masterful talent that can be taught by a passionate Chef, but cannot be learned without a passionate student. Passion to me is the number one ingredient that will make a restaurant a success. With passion the rest will follow as long as you have a system. When I am teaching students there is one important question that I must ask, “Why do you want to be a Chef?” I am often disappointed that more students are there with the dream to open a restaurant than those with a desire to cook. Opening a restaurant is a business aspiration, not the reason someone wants to be a Chef. You do not need a restaurant to cook. Instead you need a kitchen and a true passion for food. Without these three things a restaurant cannot do well. I always put food first. Centuries of authentic flavors are at the heart of Mediterranean cuisine and the recipes I create are based on these traditions in hand with modern twists to create signature dishes. Although food will make people happy, poor service and an unpleasant ambience will not bring customers back again and again. I did not come by my experience without a lot of hard work and excellent leadership. I was lucky to work as an Executive Chef for ten years and learned the importance of discipline and its role in the kitchen. It was hard work and during this time I concentrated on becoming one of the only Culinary Federation Certified Chefs in Minnesota. This is not easy to come by. This is the experience I was able to apply when I opened my own restaurant, Sole Mio. My system is very simple. I treat each member of my team in the same fashion and expect each customer to be treated the same as well. There has to be a welcoming smile when the customer arrives. At the table they must receive attention quickly and the food must arrive with perfect timing with consistency in the preparation and delivery. I also feel as the Chef and Owner it is important to speak to my customers and learn from them. I want to hear how they are enjoying the food and most of all see the smiles on their faces. They should feel welcome and well fed. When it comes to training, it must not just be bout what happens behind the scenes, but also how staff interacts with customers. My staff is trained in every detail of food and wine so that they can make recommendations to customers that will improve their experience. They must learn about wine, the blends and what will pair well with the food I am serving. It is the ultimate experience in flavor as well as enjoying an ambience that embraces passion for dining and enjoyment of life. Finally, passion is something to be shared. Much like a musician needs to play music and have people listen to their beautiful song; a Chef must cook and see people enjoy their food. I take every opportunity to share my passion whether it is donating my time to different charities and culinary schools or sitting on the board of the American Culinary Federation. I am honored to have been awarded the C.H.E.F.F.Y. of the year by the American Culinary Federation in 2010 as well as the Chef of the Year 2012 from the America Culinary Federation. Without passion this would not have been possible. 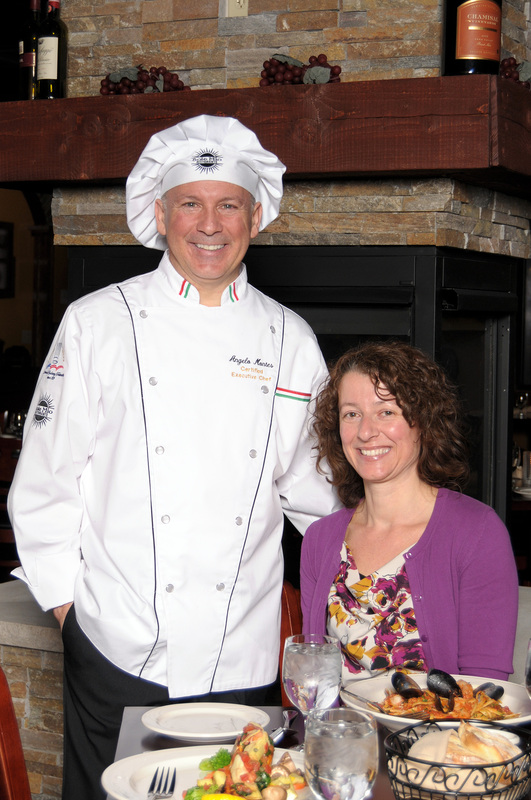 More than anything, my passion is shared with my wife and children who work by my side at Sole Mio everyday.